Preparation breeds confidence. Your confidence that you will get your ATNO depends on your preparation. One great way to prepare is to first look at the geography of long and short path. VOACAP Online has this in an easy to use visual tool. 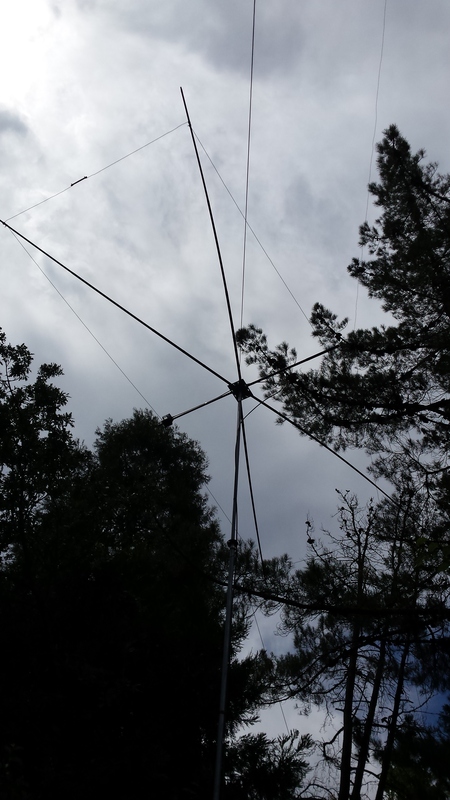 In the above plot, from my QTH in Orinda to Heard Island (Atlas Cove) the short path is 215 degrees. 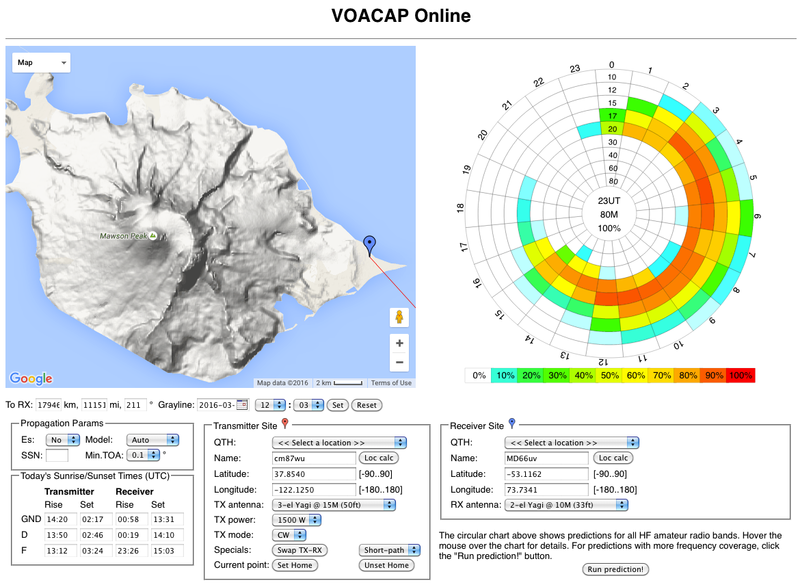 The VOACAP prediction looks GREAT!There’s a potential problem: Mawson Peak (the volcano on Heard Island). I hit the jackpot with a 9000 foot mountain right in the path upon getting onto Heard Island. 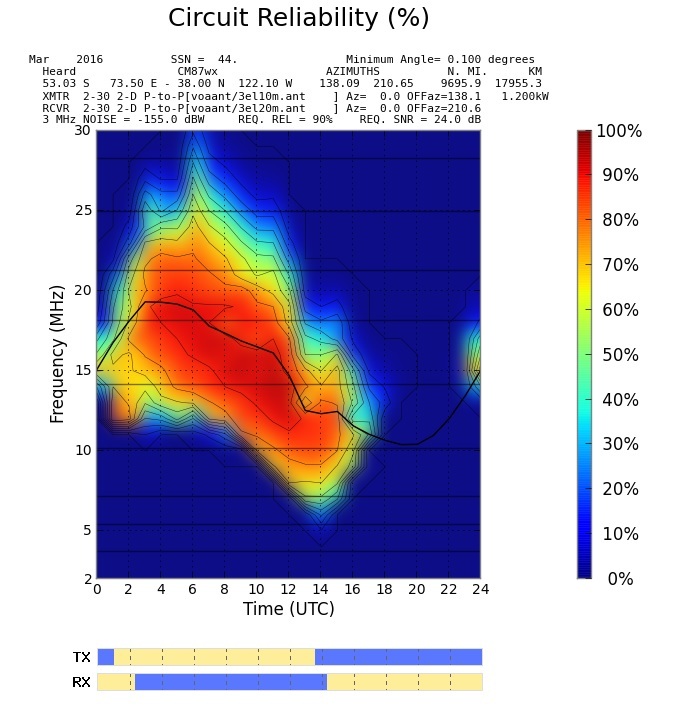 The propagation prediction shows 20 and 17M being very good for many hours. But what about that volcano? We had N6BV, Dean Straw run HFTA with the volcano in the way and the results are posted in the Propagation Section of this site. Please read that section – its important. 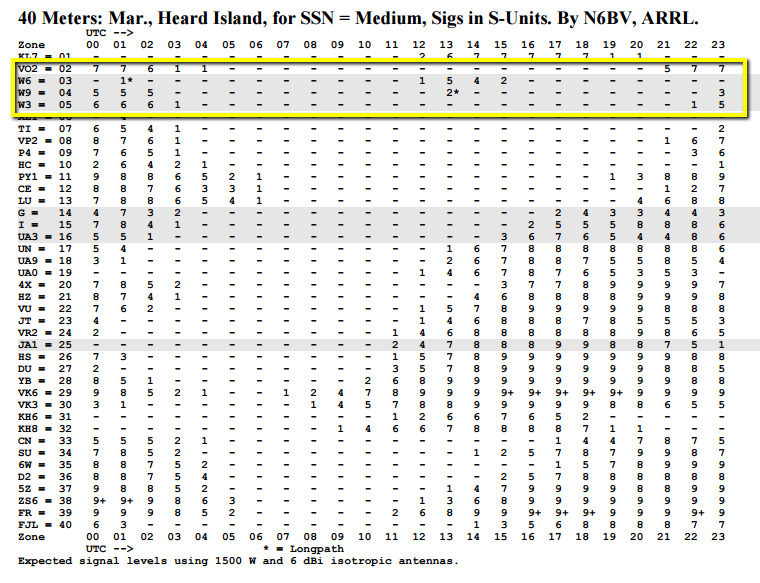 Here is the one image I need to really understand: What this chart says is low angles will be cut off by the volcano at about 11 degrees and below. Ironically, my QTH is down in a bowl, and when I ran HFTA at my QTH, I found that my nearby hills block signals at 11 degrees and below. So – what do I lose with a volcano in the way at Heard and the hills around me in Orinda? About 3 – 6 dBi. 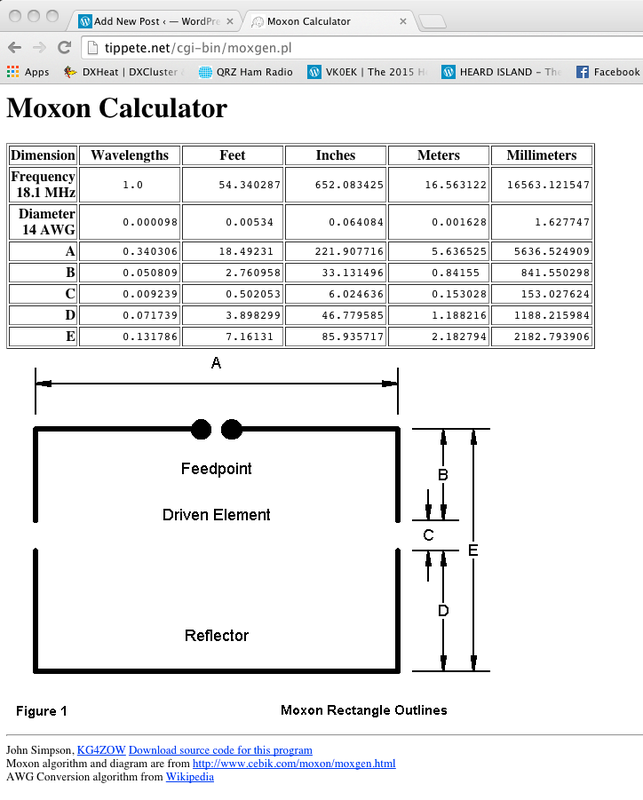 This is really good news because I understand something about propagation. I am prepared. 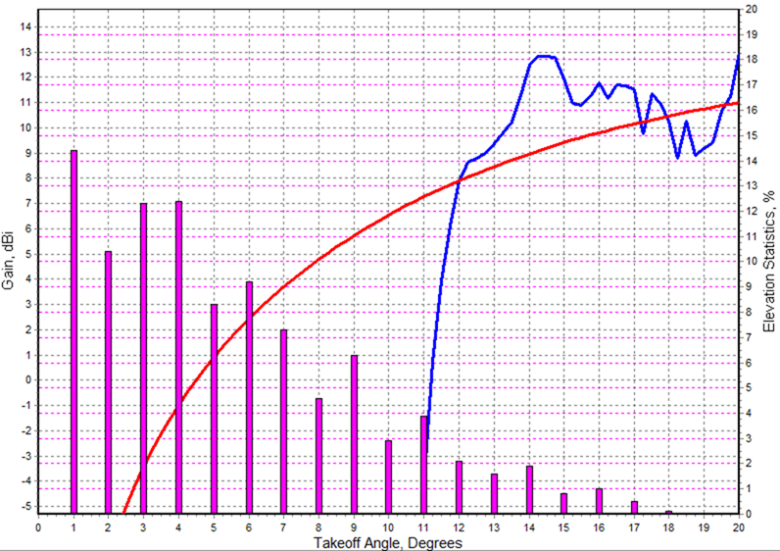 I know that when a band opens and closes, the angles of arrival change – usually go from lower to higher or vice versa. 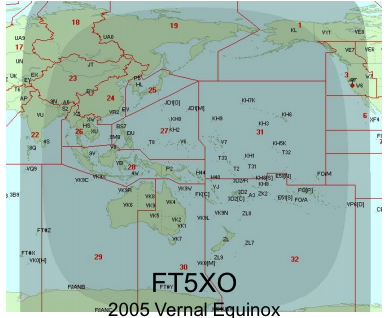 This does vary by band, but between the loss at the higher angles not being too terribly bad, and that the arrival angles at least for a short time being “good enough”, as long as the team is listening from Atlas for the West Coast or Central US “at the right times” – then a QSO on 20 or 17M should be possible – even when the team is at Atlas Cove. So – what would “the right times be”? 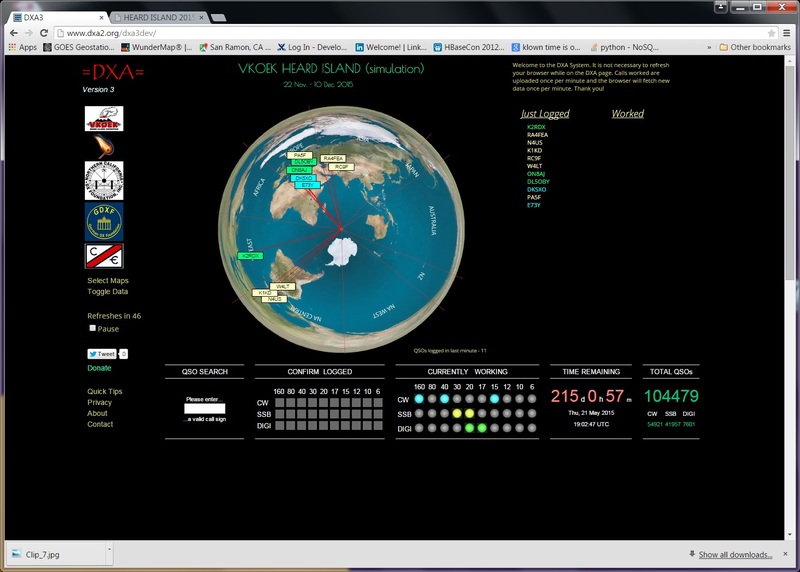 On 20M, where I have 3 elements at 50′, even with Mawson in the way, sunrise and sunset on 20M and 17M should be good. If they were going as originally planned last December, I would be really out of luck because both 20 and 17M would be closed at these times. 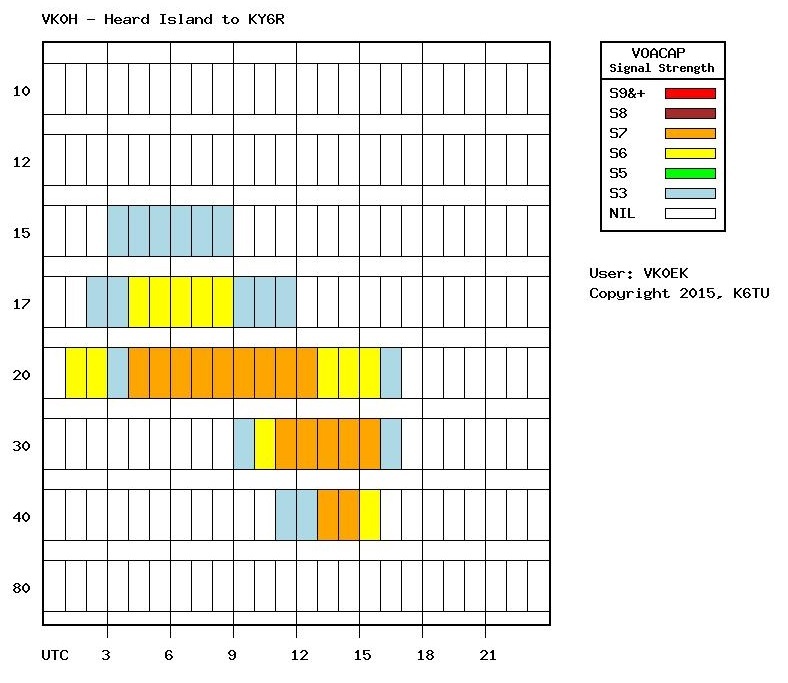 40 and 30M probably would have been “OK”, but because VK0EK will be there during the Vernal Equinox, we should see some very interesting propagation. 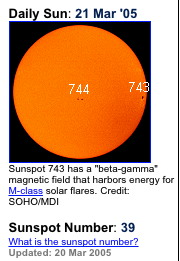 The “numbers” all match FT5XO – time of year, position and numbers in the sunspot cycle. Another crucial thing is that the East Coast and Europe will be in dark or light when the West Coast and Heard Island are in mutual grey line. YOU need to always know when wither YOU or VK0EK are in the grey line. If at least ONE of you are in the grey line – all kinds of interesting possibilities open up for you. The best is that you may have a path where other highly populated areas of the world (your “competition”) do NOT have a path on that band or bands. 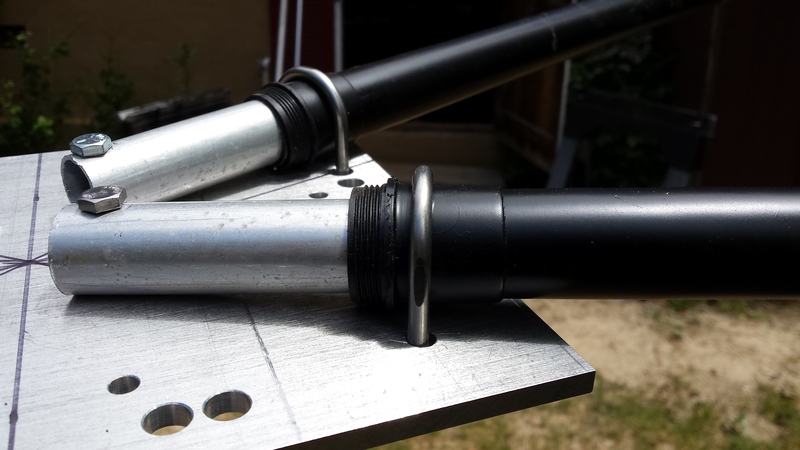 This is the way the little pistol gets in the log easily with 100 watts and a dipole or vertical! This means I now have more confidence than I originally had about working Atlas Cove from the West Coast than I did during the DXpedition planning. Here is Atlas on the Long Path from Orinda. The volcano is not in the way, and the probability and time open really drops. Furthermore, this path goes over the East Coast, Africa and the Middle East. 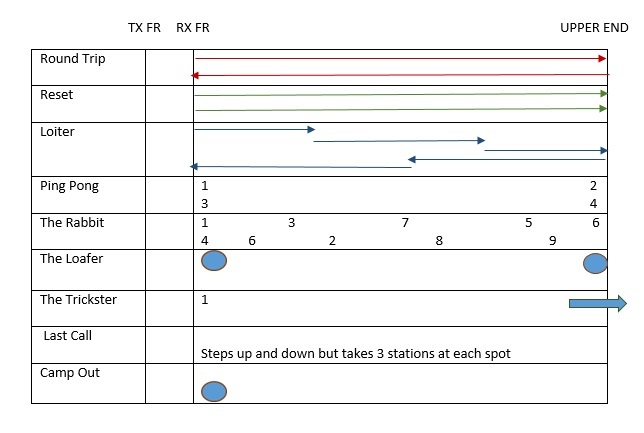 I also have the tallest hill in my way – so I have very low confidence in this direction – BUT I would be foolish not to try this path later in the DXpedition when they are begging on 20M and 17M. (Or when the VK0EK ops ask for West Coast only at 0300z when they are only at Atlas Cove). This is really a long shot and wishful thinking. The probability is MUCH higher that I will work them short path – even with the volcano in the way. Here is Spit from Orinda with an all water path. Surprisingly, it doesn’t look a whole lot better than Atlas, but this is because we aren’t taking terrain in consideration. 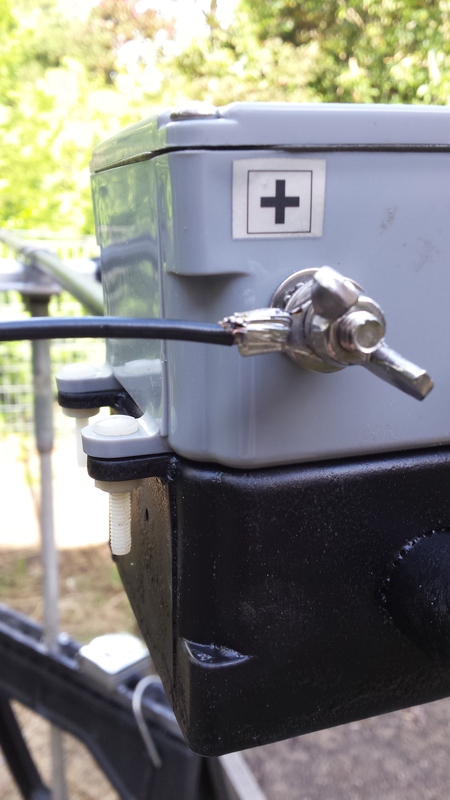 For this you really need to go to the K6TU propagation site and follow instructions for detailed instructions and easy to use “widgets”. Please see the propagation section for links. 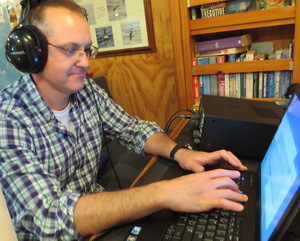 Bottom Line: Spit Bay will offer the West Coast, Central US, VK/ZL, OC and parts of Asia a clear path, but since Spit will only be activated for about a week in the middle of the DXpedition, its NOT a good idea to just wait and rely on working them when they are on Spit. The better idea would be to understand that even with Mawson in the way, higher angles during opening and closing of the bands could be your ticket to an ATNO! But YOU know better – YOU have planned and you will make your Q while others are scratching their head. They will be no competition to you, and hopefully they won’t cause DQRM, but the more I think about it – the more I think DQRMers are people who simply aren’t prepared. They are just frustrated. Knowledge is Power! May the Force be With You! Follow the VK0EK DXpedition on WSPR! 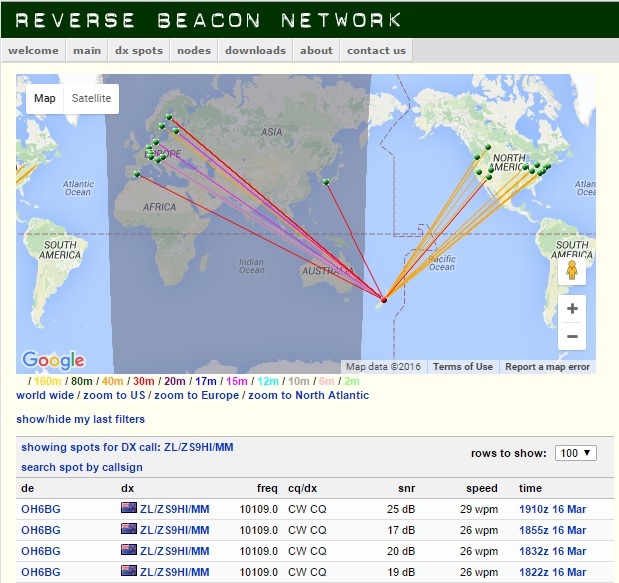 Would you like to follow via amateur radio the VK0EK expedition from Cape Town to Heard Island to Perth? It will now be possible via WSPRnet.org, the Weak Signal Propagation Reporter Network! 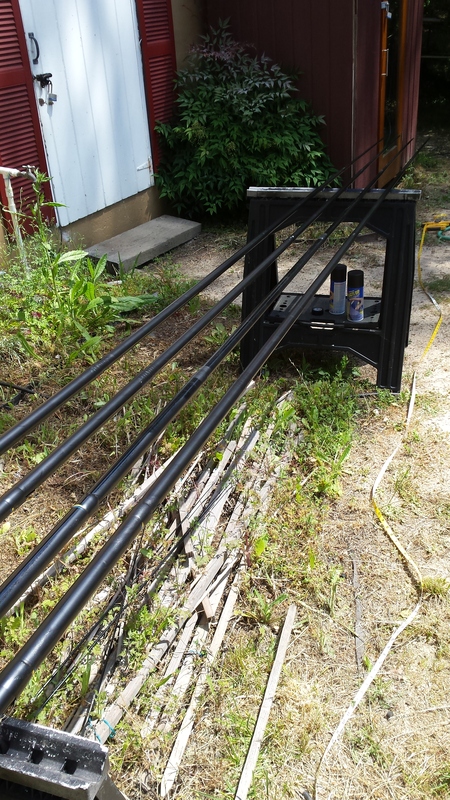 WSPRnet is compromised of a constellation of lower power HF stations around the globe transmitting and receiving digital signals using the WPSR protocol originally developed by Joe Taylor K1JT and sustained by a community of WSPR enthusiasts. 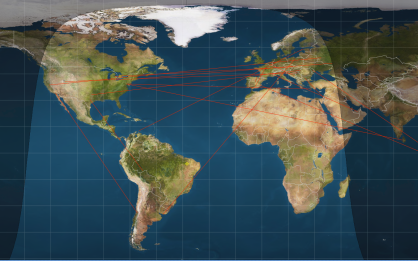 Many of these stations around the world send automated WSPR reception reports over the Internet to the WSPRnet.org web site where they are recorded in a searchable database and on a world map. 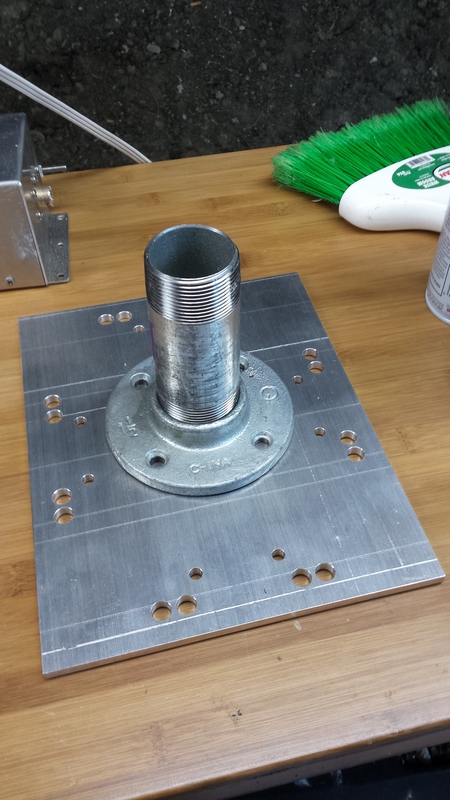 The VK0EK 2016 Heard Island Expedition will carry operate a 250-milliwatt battery-powered propagation beacon kit developed bywww.qrp-labs.com and assembled by expedition supporter Richard AB4ZT. 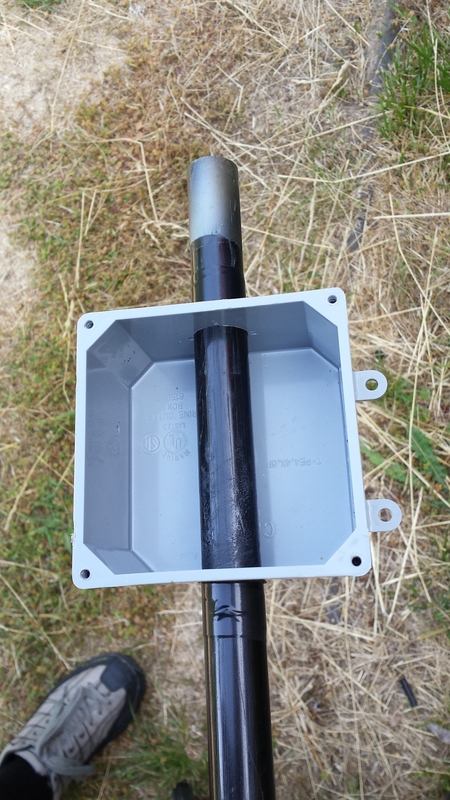 The beacon is capable of transmitting on 40-30-20-17-15-10 meters. 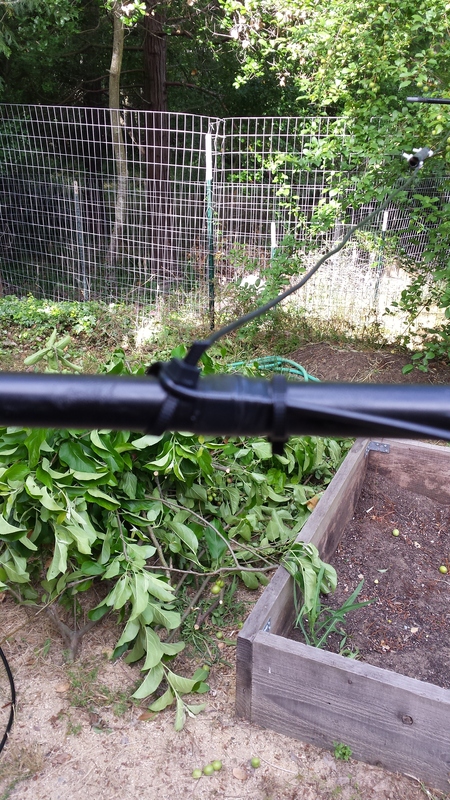 During the first day of testing by expedition member Adam K2ARB (using a dipole in NJ), signal reports were received by amateurs from as far California and Italy! The beacon will be deployed in Cape Town as ZS/K2ARB, on the RV Braveheart during the voyage as K2ARB/MM, and on Heard Island as VK0EK. We will be cycling the beacon through the bands during the expedition. Given that we will be thousands of miles from the nearest amateur stations, it will hard to miss us on the map! If you would like to follow along on the expedition, and gain insights into the state of propagation to the southern Indian Ocean, (1) visit http://www.wsprnet.org; (2) click “Map” in the upper right hand corner; 3) set the search parameters for “all” bands and “24 hours”, and (4) look for our callsigns, or search for them in the permanent database of real-time WSPR reception reports. 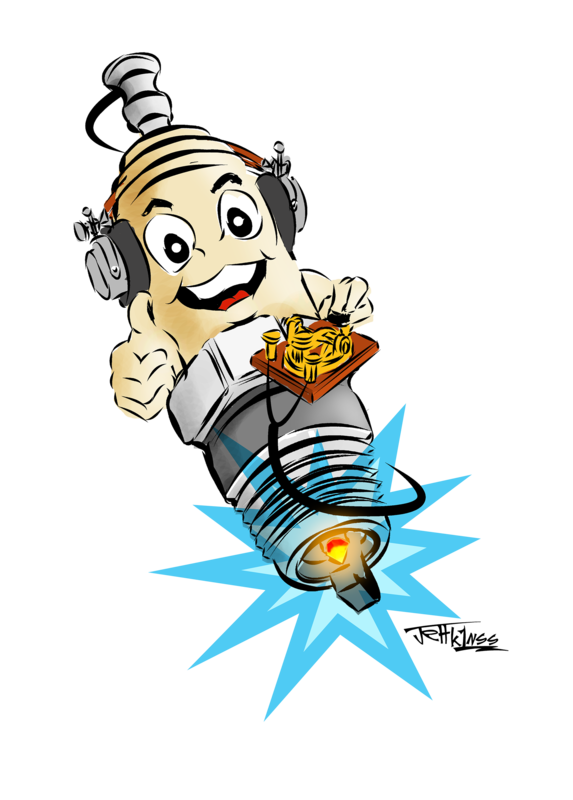 But do not rely on WSPR alone! WSPR is only one of many propagation tools available to hams chasing VK0EK and we recommend that you take advantage of all of them. 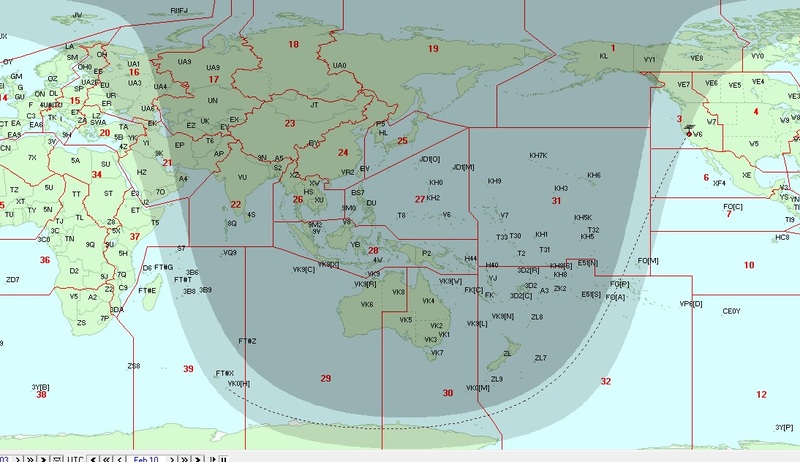 Do not be dismayed if you do not see us indicated on the WSPR map on a particular day. 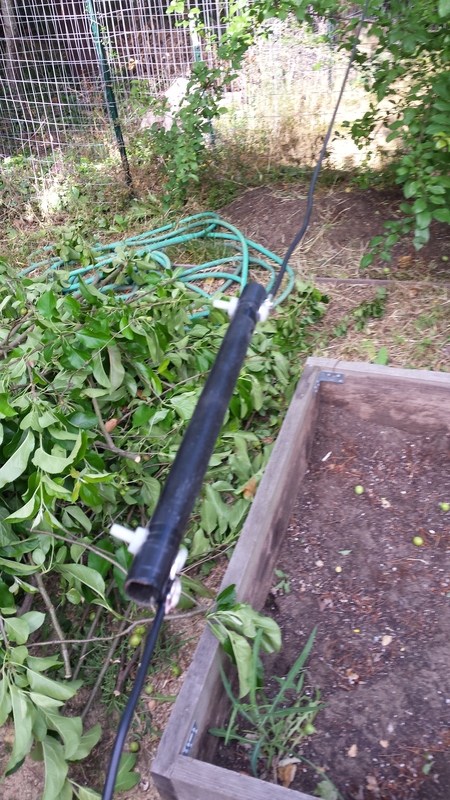 It may simply be that we have chosen to transmit WSPR signals on a closed band in search of a possible opening. 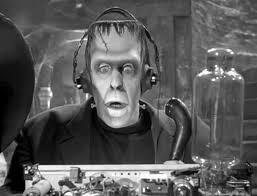 So while we may not appear on the WSPR web site on a particular day, we will be banging out thousands of QSO’s on the other bands! WSPR is a fun and interesting corner of the amateur world. Feel free to follow along! I recently read a post on social media where a DX-er laments “VOACAP predicts a 40% probability for me to work them”. My response is“Live by the Sword, Die by the Sword”. 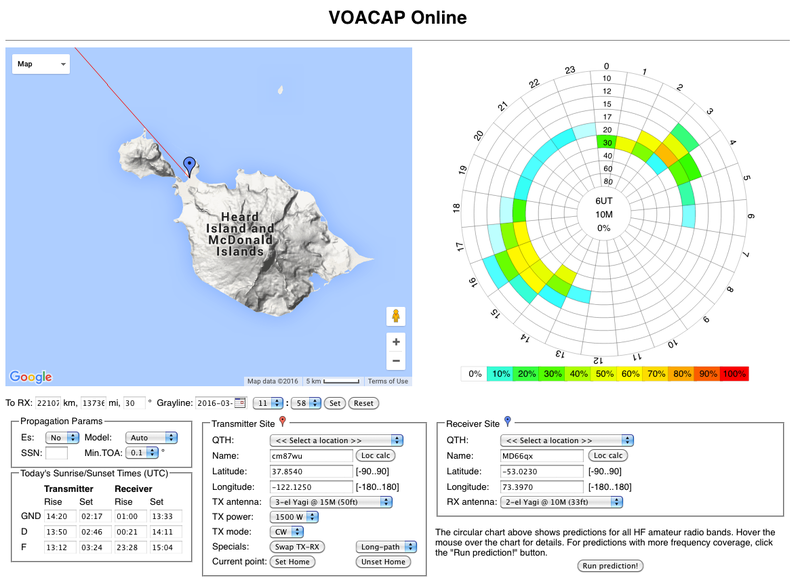 While I love VOACAP, VOACAP Online and the K6TU prediction propagation tools, they are far from perfect. If you use them as a guideline or shall I say baseline, then its simply a starting point for your strategic planning on how you will get VK0EK in your log. In fact – if you have a healthy skepticism of propagation prediction tools – then you are thinking in the right direction! 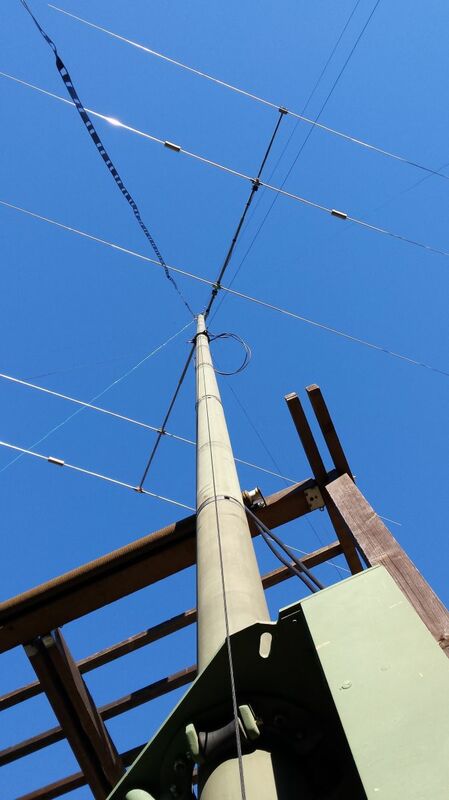 If you can’t put up anything large on 30M or 40M, you could phase two verticals using the Christman Method, and with a Stack Match II Switch by Array Solutions, get four directions for about $300 – $400 for all parts. 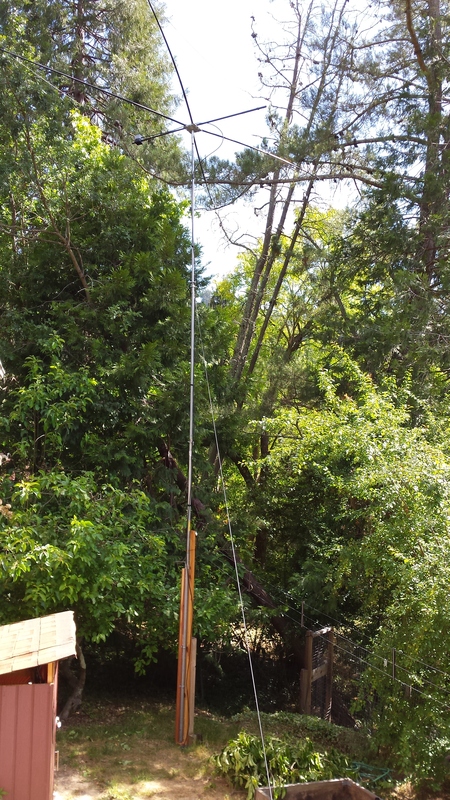 SeeHTTP://ky6r.wordpress.com/2013/06/07/optimized-40m-vertical-array-built-tuned-and-tested/ it was an excellent low band vertical array, giving me years of great service. Watch DXA During the DXpedition! Nice DXpedition with top operators. 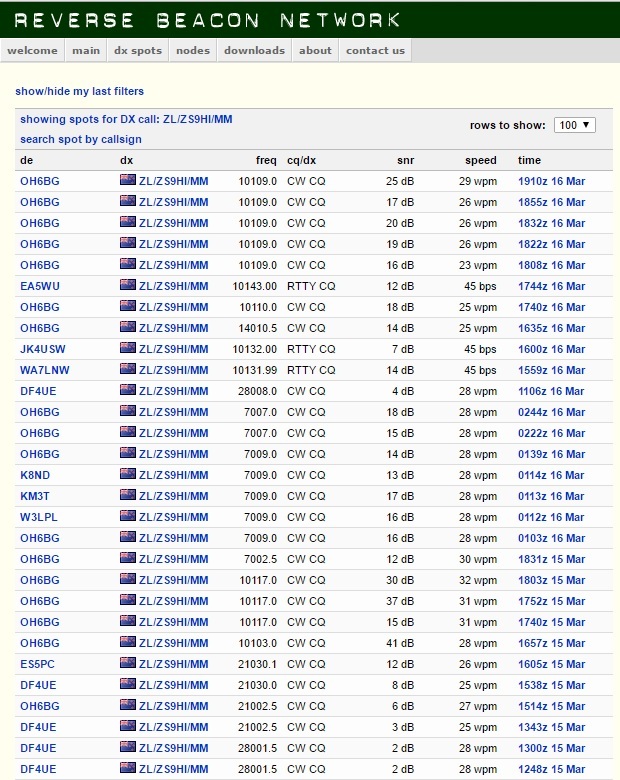 Waiting for many years on my last DXCC VK0/H. Thank you for my #340, i am very happy. You forgot the most important tip. Learn CW! Currently, over 80% of the Qs are CW. 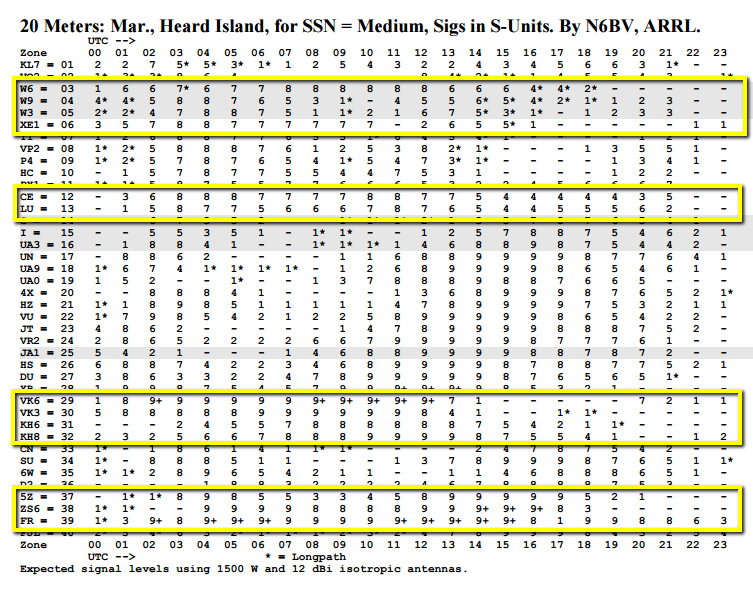 An unprecedented percentage for any major DXpedition which will be discussed for quite some time I am sure. Its funny – I was just thinking about that yesterday. Feeling grateful with all of You guys, GREY LINE only QSOs I proved My DXing skills one more time HI!